Last week one of our Accelerated Opiate Detox patients told me she was able to keep herself in denial for a long time because her doctors continued to prescribe pain medication for her. She justified this beautifully, telling herself, “Well, they clearly think I need it, so it must not be a problem.” Little did she know how much her complicity with the doctor's orders would empower her addiction to opiates! Of course, she’d known for a long time it was a problem. The opiates were serving their purpose however. Alice had divorced three husbands, and her thirteen-year old daughter was driving her crazy. To make matters worse, an uncle abused her when she was a child. The opiates were doing their job of keeping her safely not feeling or dealing. 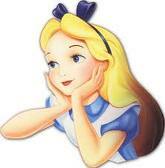 To be fair to 'Alice', she had a lot of trauma to deal with but drugs only made that trauma worse! Recently, Alice met someone who seemed to really like her. She liked him but was ashamed of her pill use. She hid it from him as long as she could, but then totaled a car, and the truth came out. This guy was healthy and concerned enough to tell her that unless she got help, he couldn’t stay in a relationship with her. They split up for 3 months. Alice started going to NA meetings, got a temporary sponsor and contacted The Coleman Institute. Her friend returned and was a great support person during her 3-day detox, giving her a little slack when she needed it and a compassionate roll of the eyes when she needed that too! Alice’s chances of having a good relationship with a good guy are stellar. She is making choices to support her values. Some baby steps, some giant leaps.